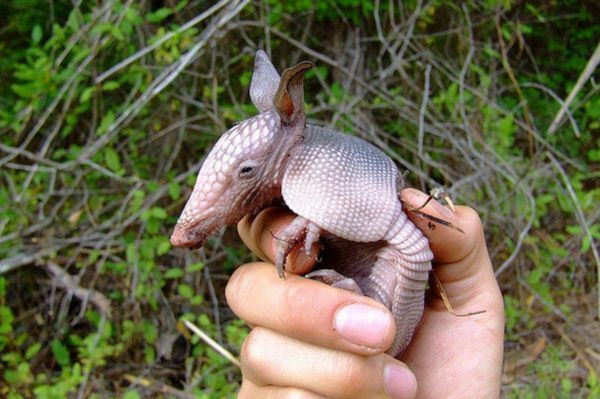 When I was ten years old I had an armadillo as a pet in Cuernavaca in Mexico. Before and after school I would spend hours hunting for scorpions for him to eat. He couldn’t get enough of them, I think he thought they were lobsters. He spoke Spanish of course so when we discussed them I called him ‘Alacran’ which is the name of his species. He didn’t mind at all; in fact he was quite proud. I trained him to do his thing and change into a ball, and then I would roll him down the lawn behind the house. He used to squeal with laughter and I did too. A panther got him in the end one night when I wasn’t there to protect him. It didn’t matter that I was only ten years old then – I loved him. I buried him with full honours, and all the scorpions I could find were there to commemorate him. They loved him too. His real name was Pelota. He didn’t come back again that is for sure, and later when I grew up I understood that you can’t trust cats at all. RIP Pelota. I don’t forget.